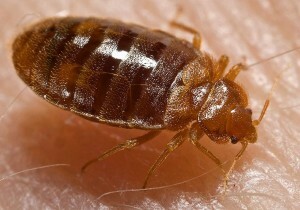 Unfortunately bed bugs are a year round problem and not just found in hotel and motel rooms. There have been outbreaks reported at schools, fire stations, movie theaters as well as apartment complexes and homes. That means that more and more people are experiencing problems with bed bugs first hand. These insects are easy to transmit and will hang on to any article of clothing or material. They easily hitch rides from one person to the next on luggage, used furniture and clothing. 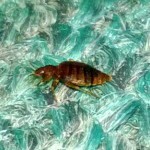 Usually bed bug infestations come on very quickly and can become a big problem before you know it. A single female can lay up to 4 eggs a day and the eggs hatch every 10 days. By the time you notice the first significant number of bites and spotting on your bedding, you probably have a large bed bug population on your hands. Bed bugs stay very well hidden and out of site during the time day and come out only at night to feed on the blood of whatever sleeping host’s body they find. It has long been known that bed bugs are a nuisance and a pain to get rid of but new studies have shown that they could actually be carrying and spreading disease that can be harmful to humans as well. A new study has shown that bed bugs could be carrying a parasite that can cause a harmful infection. The infection is called Chagas Disease and it has been commonly found in Mexico as well as Central and South America. The disease can lead to complication of the intestines and has even caused cardiac complications in some patients. It was previously thought that Chagas Disease was spread exclusively by another pest; the kissing bug that transmits the disease through feces via open wounds or around the eyes and mouth. This recent study however recognizes that Chagas Disease could also be spread by bed bugs and if so could easily become prevalent in the United States as well. Chagas Disease has not been a problem in the United States to date as we generally have well made buildings that kissing bugs find it much harder to gain access to. It has been proven that bed bugs can spread the Chagas disease, at least in mice. While the CDC has not yet recognized that bed bugs can spread Chagas disease among humans, researchers have reason to believe that bed bugs are the reason for the current outbreak. They suggest that anyone with an infection after having bed bugs should be treated by a health care professional right away. The best way to detect and treat bed bugs is to have a professional bed bug inspection completed as soon as possible. Bed bugs are extremely difficult to remove on your own due to their small size, talent of hiding during the day and ability to multiply quickly. The first sign that you have bed bugs is usually waking up with bug bites and small spots of blood on your bedding. It you do notice these signs, they could be caused by other pests such as fleas and spiders which makes matters even more confusing. If you suspect that bed bugs may be present in your home or business, it is very important to contact a pest control company like Romar Pest Control who specialize in bed bug inspections and removal services.